Directive 2009/128/EC on the sustainable use of pesticides, was adopted on 21 October 2009 as part of the 2006 Thematic Strategy on the sustainable use of pesticides. The Directive provides for a range of actions to achieve a sustainable use of pesticides in the European Union by reducing the risks and impacts of pesticide use on human health and the environment and promoting the use of Integrated Pest Management (IPM) and of alternative approaches or techniques, such as non-chemical alternatives to pesticides. The Overview Report provides a detailed summary of the main findings of the results of a questionnaire and a series of fact-finding missions to Six Member States (MSs), gives examples of good practices in implementation and identifies the main obstacles encountered by MSs in the implementation of the Directive. National Action Plans (NAPs) all MSs had adopted NAPs, in many cases with significant delays, and with a huge diversity in their completeness and coverage. Twenty one MSs established risk reduction objectives, and nine MSs established use reduction objectives, with some MSs having a combination of both. However, only five MS NAPs set high-level measurable targets, of which four relate to risk reduction and one to use reduction. The Netherlands also has measurable targets for risk reduction, although these are established outside their NAP. The fact-finding series visited three of these six MSs (Denmark, Germany and the Netherlands) and in each case, substantial progress towards the achievement of their risk reduction targets could be demonstrated. IPM is a cornerstone of the Directive, but compliance with the principles of IPM at individual grower level is not being systematically checked by MSs. Furthermore, MSs have not yet set clear criteria in order to ensure that the general principles of IPM are implemented by all professional users. Inspection systems for spraying equipment, 26 MSs had systems in place and approximately 900 000 sprayers had been inspected by the deadline of 26 November 2016.The lack of reliable data in some MSs on the total number of sprayers to be tested makes it impossible to determine the overall level of compliance. However, based on available data, the level of compliance is less than 50 % in at least eleven MSs. Training and certification, all MSs had established a system by the deadline of 26 November 2013, and reported that almost four million professional operators had been trained. However, not all MSs could provide data on the total number of operators who need to be trained and certified. This means that it is not possible to determine the overall level of compliance. There were delays in training and certification of operators in six MSs. In the case of four of the six MSs visited (Denmark, Germany, the Netherlands and Poland) very high rates of compliance were reported, based on the results of their controls. Aerial spraying is prohibited in all Member States and derogations are only granted under strict conditions. The area sprayed is low, is declining and is effectively controlled. Pesticide acute poisoning, MSs generally have systems to gather data, however, the accuracy of these data and its use was questioned. Systems for gathering such information on chronic poisoning are not widely implemented. 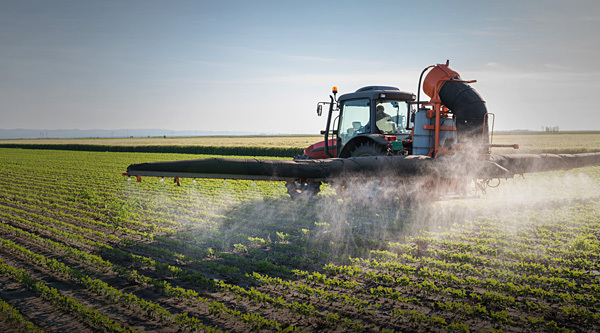 For further advice on sustainable use of pesticides or any other registration issues please contact us on +44 (0)1423 520245 or enquiries@jsci.co.uk.